Posted on 2016-08-04 22:24:57 GMT+0000 by Neil Godfrey. 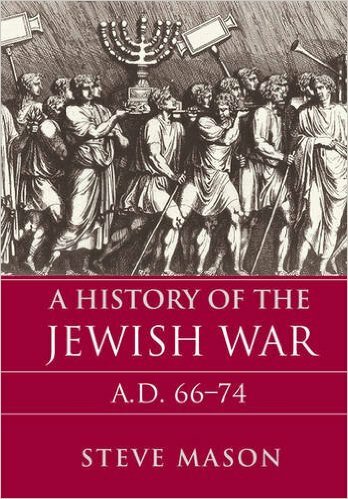 This entry was posted in Historical Methods, Historical Sources and tagged Historical Method, Mason: A History of the Jewish War A.D. 66-74. Bookmark the permalink. Offer to print Mason’s excised chapter? Or suggest publication somewhere like academia.edu? That looks likes great book. Who would have ever thought the right to read an electronic copy would cost $120? Steve Mason has posted an article entitled “What is History: Using Josephus for the Judaean-Roman War” on his academia.edu page at https://www.academia.edu/2978438/What_is_History_Using_Josephus_for_the_Judaean-Roman_War. I don’t own his new about the Jewish War in 66-74 CE. So, I have no way of knowing right now if there are any parallels or commonalities between Chapter 2 in the book and the article on academia.edu, but I expect that there probably are. I read this to really understand what transpired in the age of Judea occupied by the Roman Emperor and left with absolutely nothing.